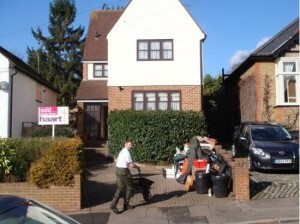 As a homeowner living in Leyton, you can be sure you have landed in the right place if you are looking for the best house clearance experts in your area. 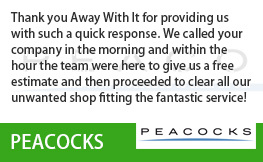 Our customers tell us that the reason they chose Away With It was that we provide a personalised approach which ticks all of their boxes. With more than 15 years’ experience, you can be assured that you too will receive only the best quality experience from our team. 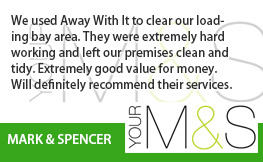 We are at your service seven days a week, from 7am until 11.30pm and can help you with your house clearance whatever the scale. 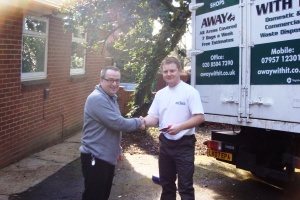 At Away With It, we understand just how stressful a house clearance can be and we appreciate that there are many different reasons behind the need for one. 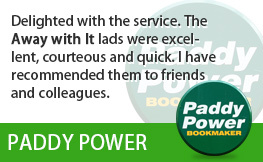 We pride ourselves on our reputation for providing a quick, professional and discrete service in your area. Our primary goal is to get the job done as per your individual requirements and ensure that you are completely satisfied with the work carried out by our team. 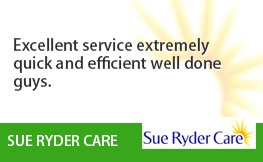 When you speak to one of our friendly advisers, they will listen to your requirements and offer you a personalised and tailored solution in line with your timescales, budget and specific situation. Flexibility is by far an attribute we are recognised for, but we also put a huge emphasis on reliability. 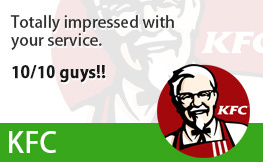 As a customer, you will receive a two-hour dedicated time-slot in advance, decided by you. This means you won’t have to wait at home all day! Our house clearance team will give you a call when they are on their way to your property and give you an approximate time of arrival. When you call to arrange your house clearance we will give a free no-obligation quote that is completely inclusive of all labour, transportation and disposal costs. The price we quote you is the price you pay. There won’t be any unexpected extras when it comes to paying the bill and no call-out charge either if you decide you don’t want to go ahead. 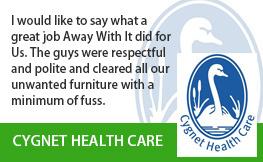 We will work closely with you to make sure that the work is completed with minimal disruption and your outcome is achieved – your waste or unwanted items are gone and out of sight! 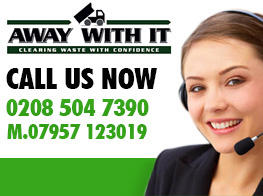 We are licensed waste carriers and fully insured so you can rely on us to complete a professional job and deal with any waste we collect lawfully, responsibly and ethically – we recycle 80% of the waste we remove from our house clearances. Before we leave we will sweep up leaving the area clean and tidy. You can then call us today and one of our friendly team will answer any of your questions and guide you through the process. To speak to our dedicated Leyton team, call 0208 504 7390, any day of the week between 7am and 11:30pm.